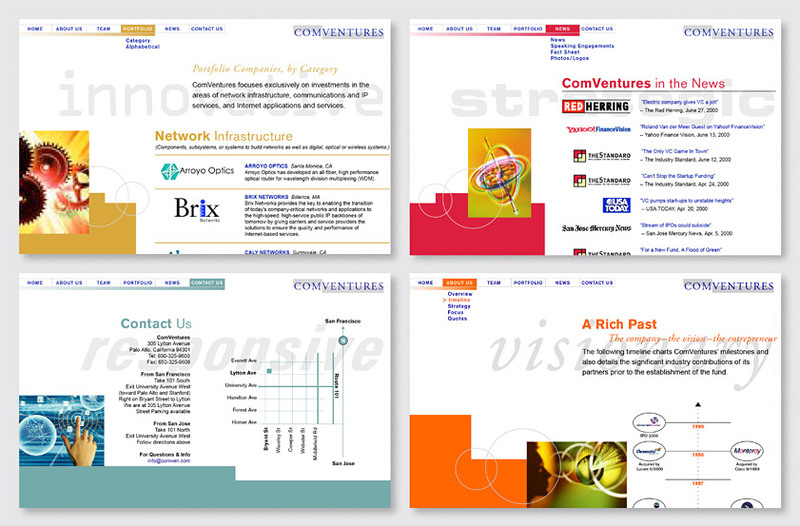 ComVentures is a leading venture capital firm specializing in early-stage communications and networking companies. Our solution uses an expressive, color-coded presentation of information to express the dynamic nature of the communications and Internet companies in which the firm invests. The site uses futuristic visual imagery to evoke technologies that are yet to be invented, positioning the firm as a leading player in the communications infrastructure space. Each section is differentiated by a vibrant color and a symbolic image. 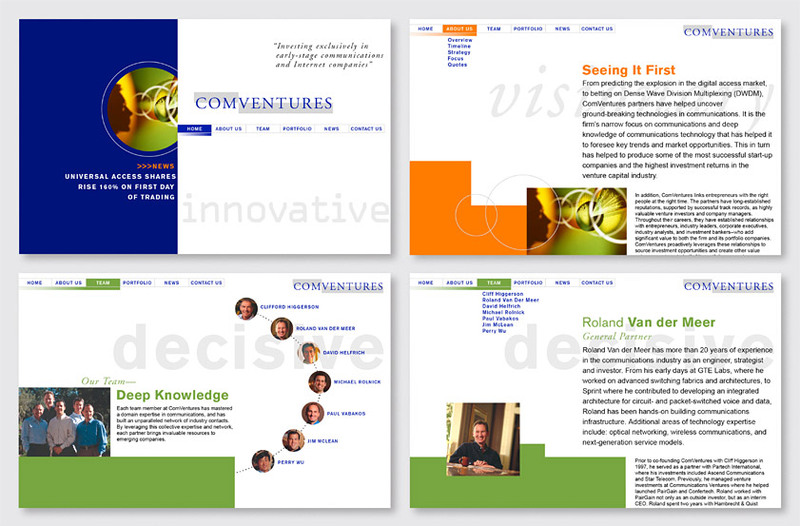 In the background of each page, expressive typography is used to convey an important core value of the company. A scrolling vertical timeline of the firm's successful and prescient investments enables viewers to recognize the company’s significant contributions to the development of communications over the past 20 years.